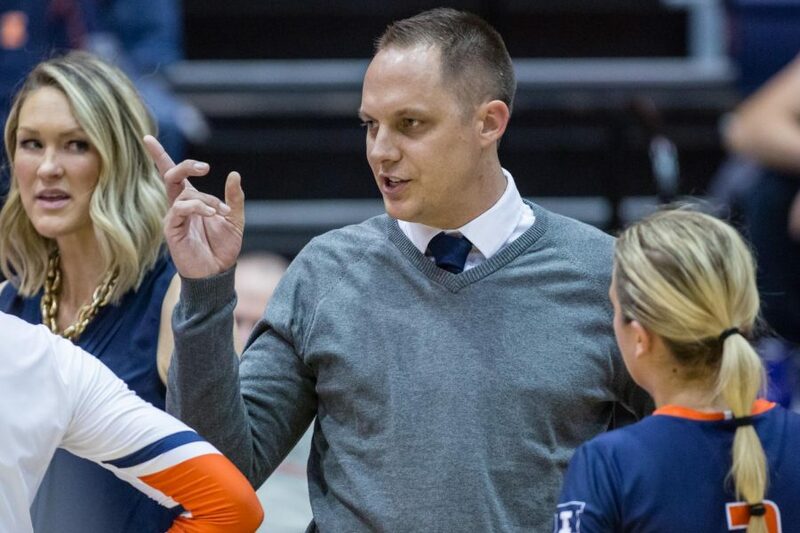 Illinois head coach Chris Tamas talks to his team during a timeout in the match against Michigan at Huff Hall on Nov. 5. 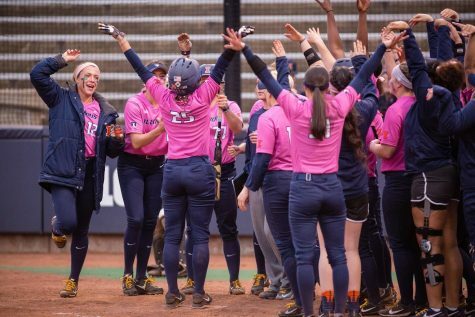 The Illini won 3-2. Spring volleyball isn’t anything new for the Illini, but some of the teams they play are. 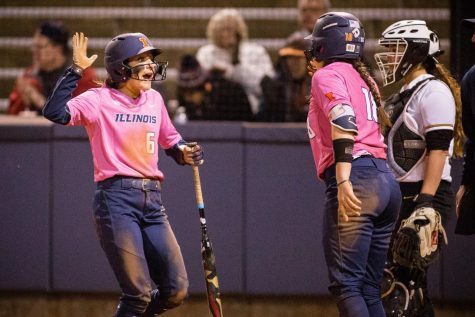 Illinois has faced Kentucky several times in previous fall seasons; however, local teams like Bradley and Illinois State represent uncharted territory for Illinois. 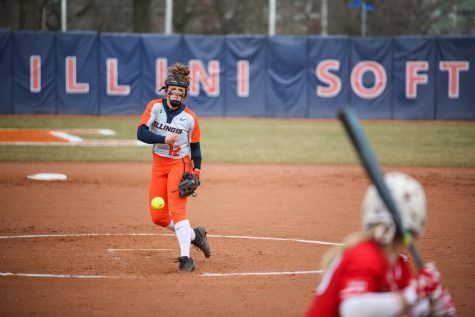 So far during the spring season, Illinois has twice overturned opponents 4-0, blanking Bradley and ISU at home. 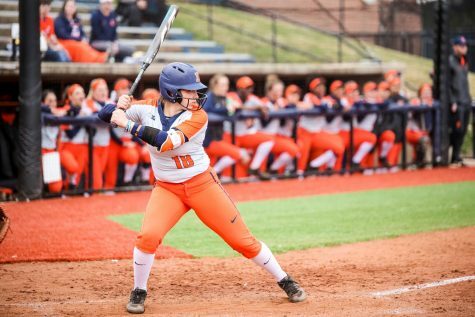 The Illini are winding down the abbreviated season with a final match against the Iowa State Cyclones this Friday in Davenport, Iowa. 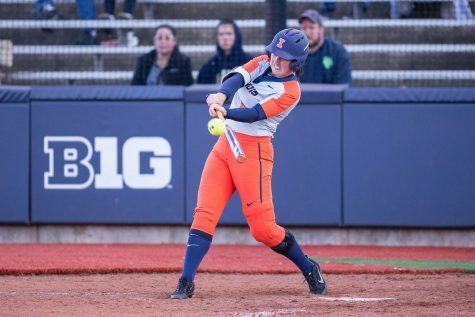 According to head coach Chris Tamas, there isn’t a lot Illinois can do to prepare for a team its never played before. Being able to adjust on the fly, however, is perhaps Illinois’ strongest skill, he said. Some of the teams for the Illini are brand new, and so are the combinations on the floor. 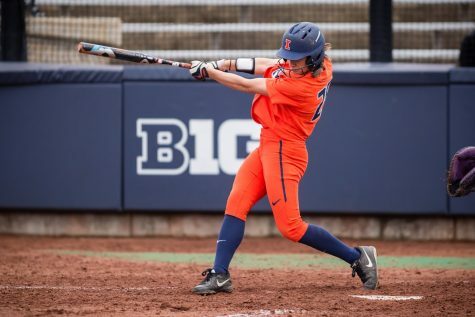 Illinois is getting acclimated to playing without some familiar faces. 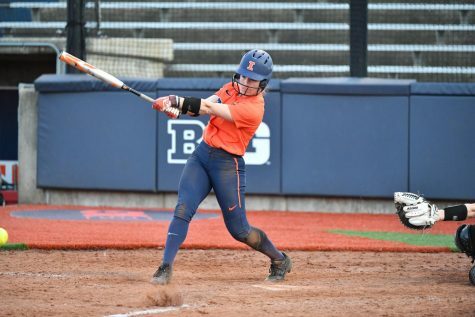 Senior libero Brandi Donnelly is not competing in the spring season, which leaves the Illini without one of their strongest defensive cornerstones in program history. 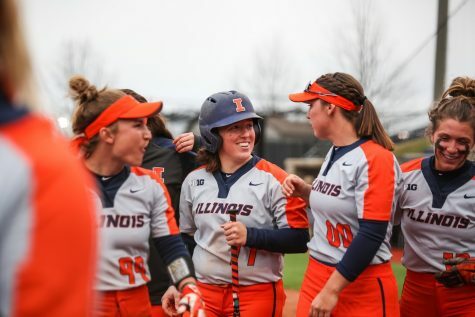 But, the spring season has given Illinois a chance to operate under new assistant coach Alfee Reft. According to Tamas, the new staff members are all after one common goal, and that’s something everyone has been able to push for so far during the spring campaign.